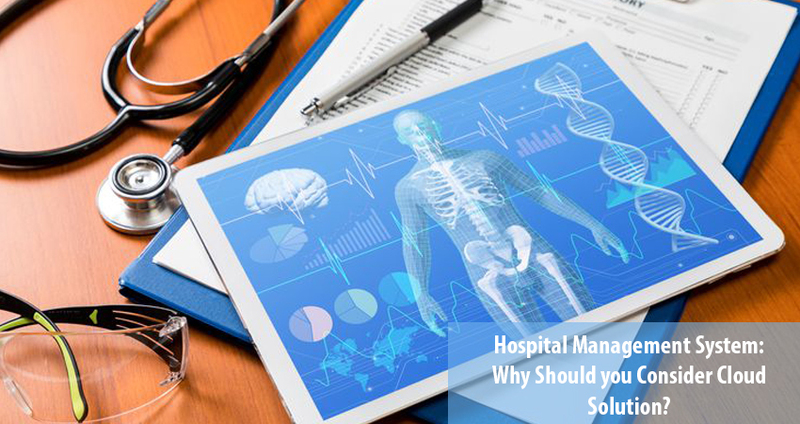 There are several hospital management system available in the market. But currently, cloud based solutions are rapidly adopting by the healthcare industry. Here is the checklist that encourages industry to adopt the technology. Before, adopting a solution, you need to check whether solution meets your organizational needs or note. Cloud based hospital management system (HMS) is a cost-effective solution. It minimizes the requirements of information technology. There is no need to hire special in-house IT expert and purchase excessive hardware for the organization. All installation, networking, configuration, testing, and execution will be done automatically by the service provider. They’re responsible to manage servers and all important updates. Cloud is an economical solution for all type of businesses. Cloud application significantly gives a lot of advantages compared to client-server/desktop applications. Cloud HMS solution don’t need any special installation and can be easily accessed remotely through any available device. They simply need internet, available device and log-in access. Doctors and other staff can easily access data directly from home. In case of any shift update and or notification, they can easily review details. Users will be able to use the latest version because the software will get automatic updates from the backend. Cloud based hospital management system efficiently support in data control and management. It centralizes all data and enables easy access. You’ll be able to get complete control over charges, manage inventory and handle all services. Your resource utilization and management will also increase with cloud HMS. If someone from higher authorities wanted to include new services, departments, and staff, it could be done centrally. Along with all these features, it will be easier to audit your services and ensure the storage or history log. Previously if someone wanted to set up a new branch of the hospital they have to double their entire infrastructure. But now cloud based hospital management system has eliminated this cost. You can now set up multiple branches, no need for new infrastructure. Just pay the charges of additional services and space. In the healthcare industry, the variations are its procedures and fluctuating workflow has increased system complexity. Implementation of cloud software across any healthcare organization is quite complex. The configuration of an application should effectively meet its financial requirements, operational necessities etc. In order to implement these applications successfully it is important to check whether it is compatible to manage your needs. Cloud HMS is used to improve healthcare services like patient care etc. It is adapted to manage tasks and boosted the productivity of application. The software should be user-friendly and staff must get training accordingly. Enhanced usability is a top priority to make the system more effective and get desired benefits. The web-based HMS is securely connected to your account. Data stored in the cloud is secure in the encrypted form. No one can access it without secure login credentials. In fact, you can perform payment transactions through cloud HMS solution. Data automatically backup to cloud so, in case of any damage your data is secured. Cloud based solutions hospital management system has provided more secure data backup than paper record management or storage to some server etc. In hospital/clinics, there is different sort of data i.e. patient record, doctor progress, staff duties, inventory and human resource data. It is necessary to backup because any loss may cause hard. Therefore, data backup and security is a feature that encourages the healthcare industry for rapid implementation. In the cloud, there are still some features that couldn’t be ignored but they against the solution. In case of any internet interruption organization’s functions might be affected. No data can be accessed during unavailability of the internet. In case of slow data connection, the time investment will be increased. If you’re selecting it for long-run, it might be an expensive solution. Usually, you can easily plan to use it for 5-10 years in coming future. Your vendor support matter a lot in cloud services. If you’re not getting access to right vendor it may cause great damage. The vendor is responsible to control all of your data means you are simply dependent for all of your data backup. Imagine that vendor goes out of their business, what next?? Where all of your data gone.